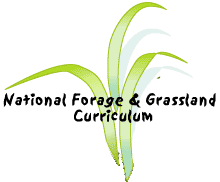 The purpose of this lesson is to help students realize the need to carefully select a forage species, examine the considerations involved in selection and adaptation of forages and give a model for better selection. Selecting appropriate forages is more difficult than selecting row crops because there is more of a selection, the species have more specific and less obvious differences and the considerations involved are more complicated. However, proper selection lays the foundation for proper management, plant longevity and productivity. Wise selection relies on an awareness of local climate and soils information in conjunction with plant identification and growth patterns which are concepts covered in the National Forage and Grassland Curriculum.